Works on OnePlus 2 OOS 3.1.0. 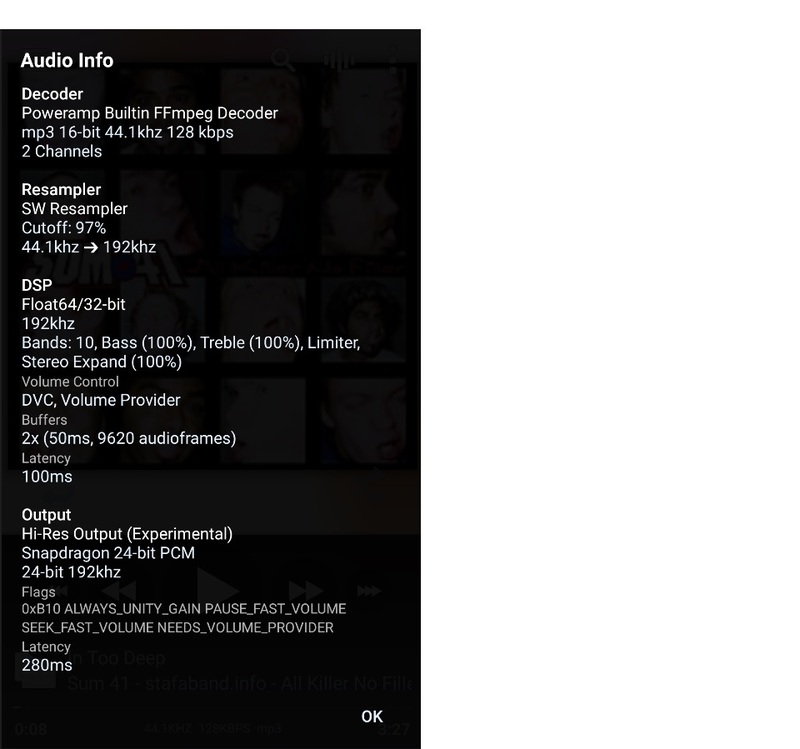 Sounds way better than DIRAC HD or whatever. 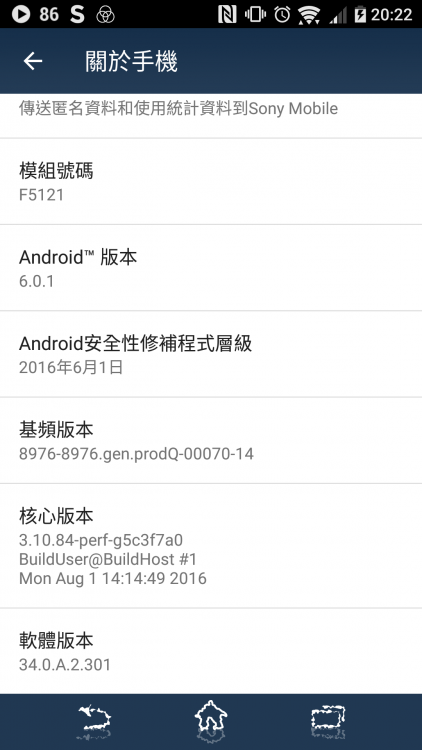 Works fine on Oneplus 3 Oxygen OS v. 3.2.7. Thanks. 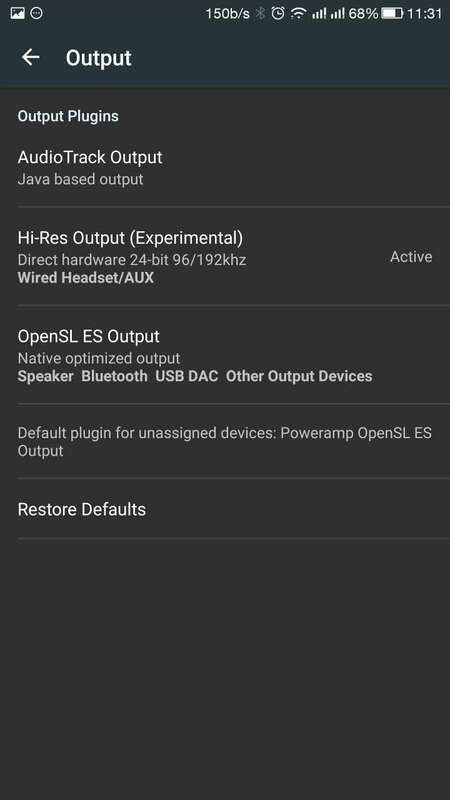 Running build 703 on an LG V20 (7.0 Nougat). I don't see an option to enable Hi-Res. Where is it? 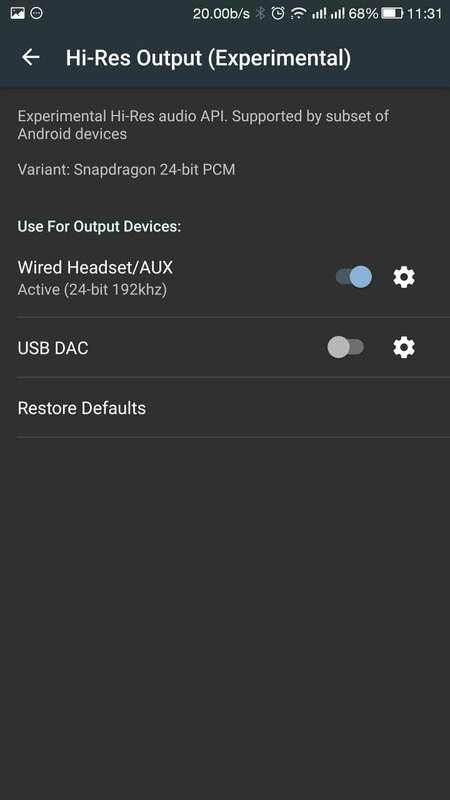 If it's going to work, the settings will be in Settings > Audio > Output, where you can change the output modes for various different devices (wired headset, USB DAC, etc). Look for the Hi-Rez Output (Experimental) setting. That option doesn't exist on my phone. 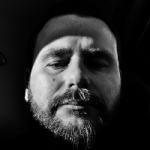 I did some searching around the forums and it seems the LG V20 hasn't been included in the list of phones yet. Hopefully it will be soon. Thanks for replying. HTC D816. It works well. 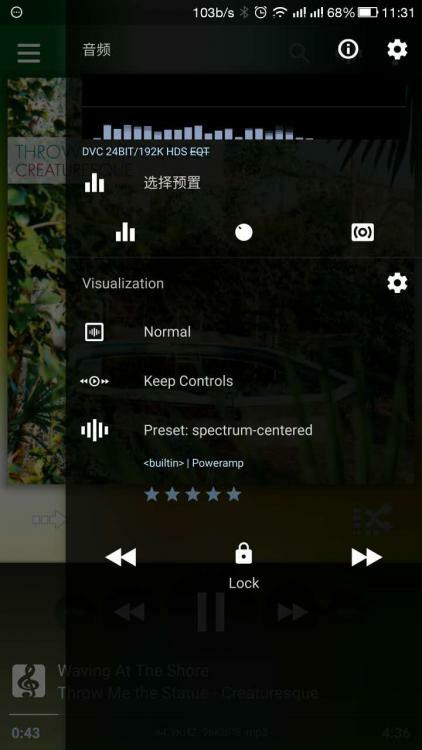 My Sony Xperia Z2 (D6503) v6.0.1 works with V3. 703, but why do it not show "No DVC" in Hi-Res output? 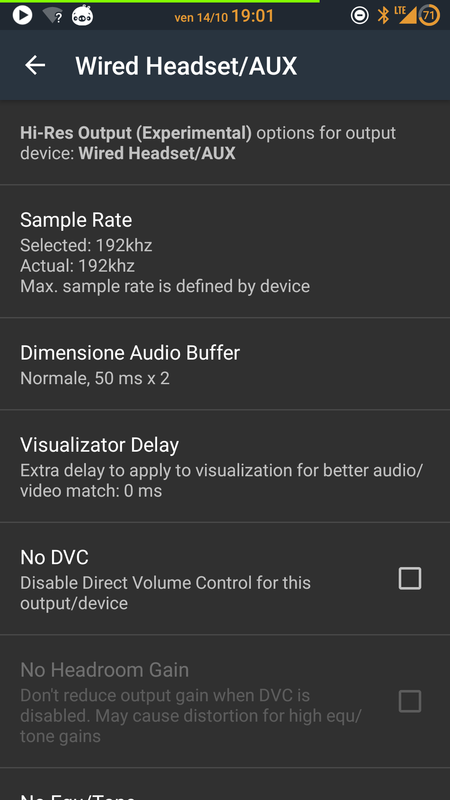 It work best on xperia x while manually setting 24bit 96khz . 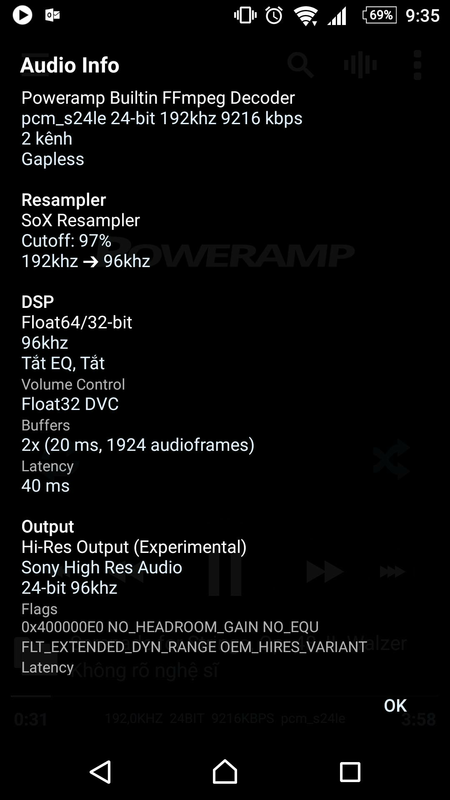 If device not supports 24b 192k ,but supports 24b 96k ; Let Poweramp select the 24b 96k. My xperia x truly support 24b 192k . 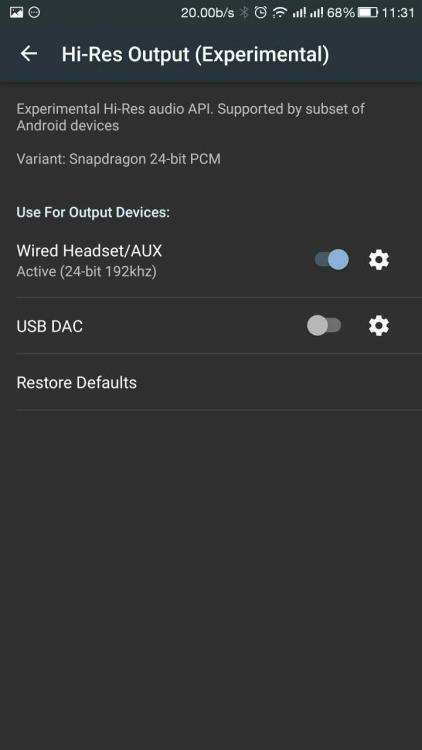 Can't use Poweramp default value. 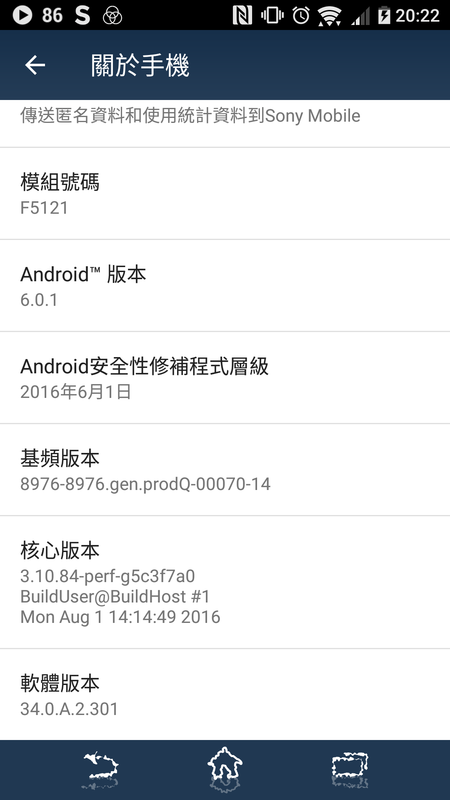 It looks as if it is working on my LETV 1Pro（EUI 5.8 18S/Android 6.0.1）,The internal DAC model should be ES9018K2M. I have one question about beta version od Poweramp. 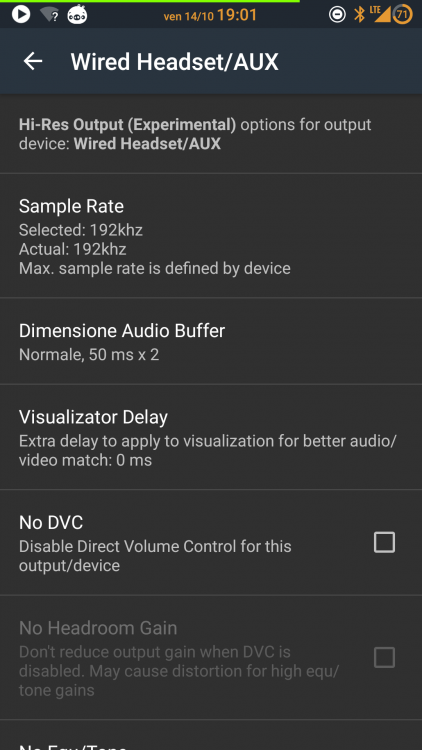 How to set to use Sabre DAC in my LG V10? 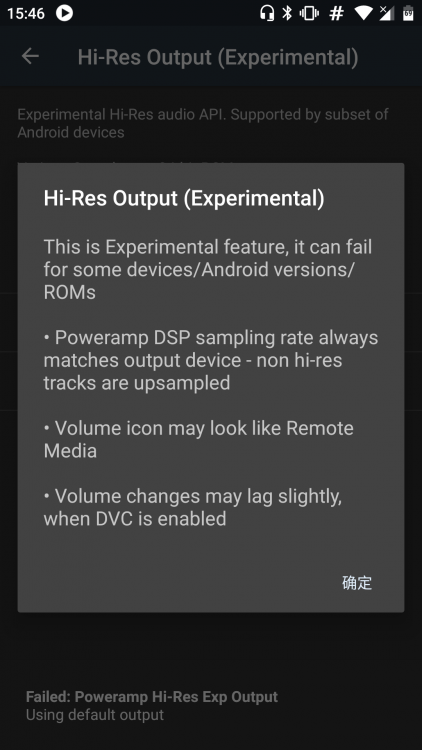 If a given high-rez DAC is supported (and the LG V10 should allow high-rez output) go into Poweramp Settings > Audio > Output > High Rez Output (Experimental) and enable the entry for Wired Headset/AUX. 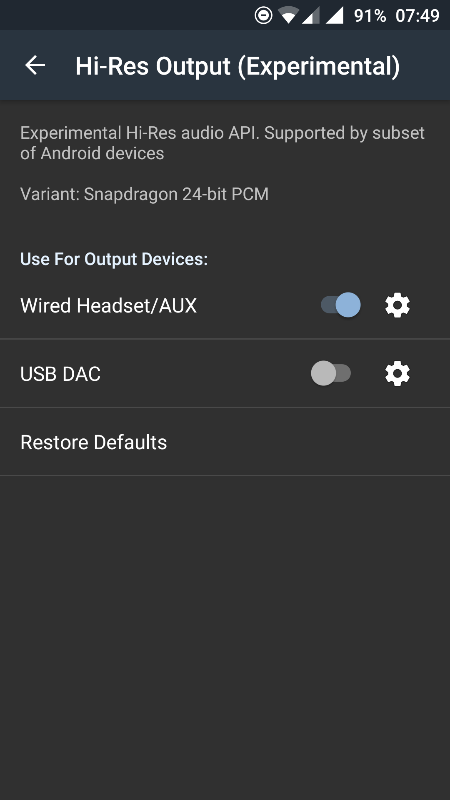 You can use the adjacent Settings icon to adjust the detailed options for that specific output mode once you have activated it. If you don't see the High Rez Output (Experimental) option at all, you cannot use this feature on your device as yet. If possible would be great to make use of the internal AKM 4962 + 4490 Hi-Res DAC + AMP inside of ZTE Axon 7. Currently while playing through Hi-Res Output, oly Snapdragon 24-bit DAC is shown and not the internal one. Is there any possibility to activate the Hi-Res AKM one(s) ? I can provide any files needed from /system for this to happen. Thanks for your great work with Poweramp @maxmp. Been using it for quite some time now and it is the best you can get. I think it isn't supported in Android 7=< at all. Disappeared on my S7 Edge after the update to Android 7 as well. Doing a downgrade now (missing Xposed is another big issue for me, lol). Unfortunately running an alpha-test app on a beta-test OS as your main daily-use device is quite likely to end in tears. 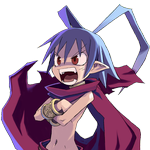 Hopefully once both get to official release status things will be more reliable. 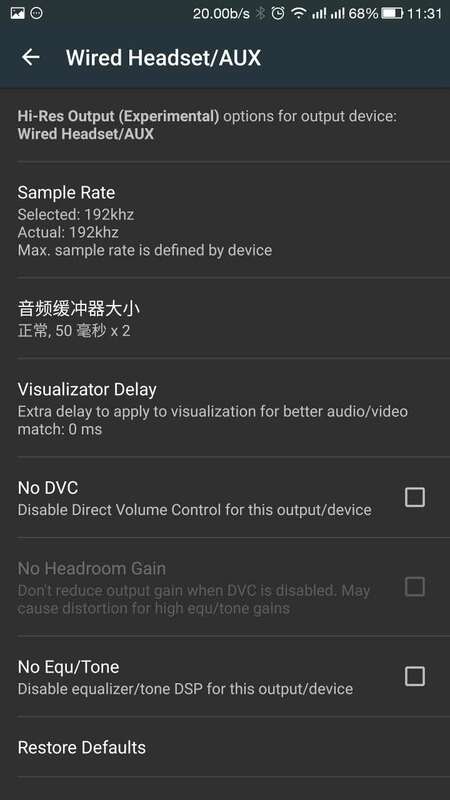 This option is not visible for LG V20 (which comes with a Quad DAC). 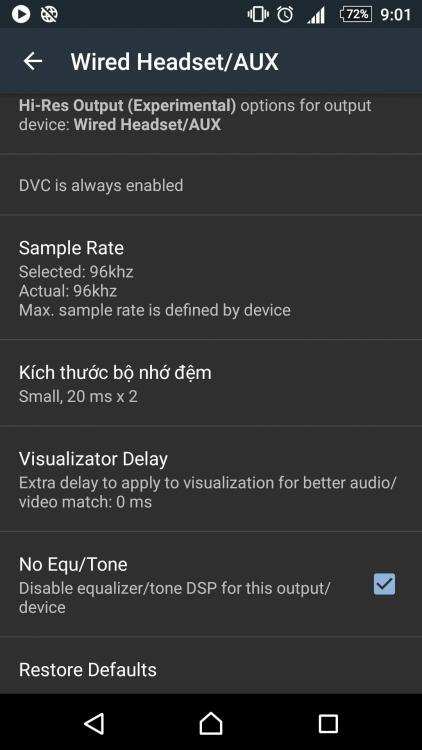 The LG V20 is not yet supported in the test release. I assume it will be by the time the product gets to a release build though.